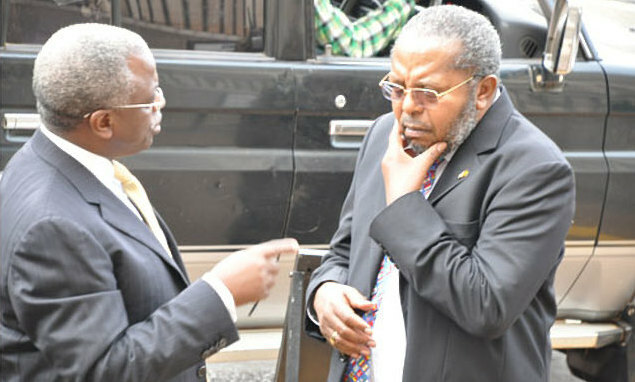 KAMPALA – Lawyers representing former Prime Minister Amama Mbabazi together with his friends including city tycoon Humphrey Nzeyi have resurrected an old court case against the central bank indicating that they want to table new evidence against the closure of their National Bank of Commerce. 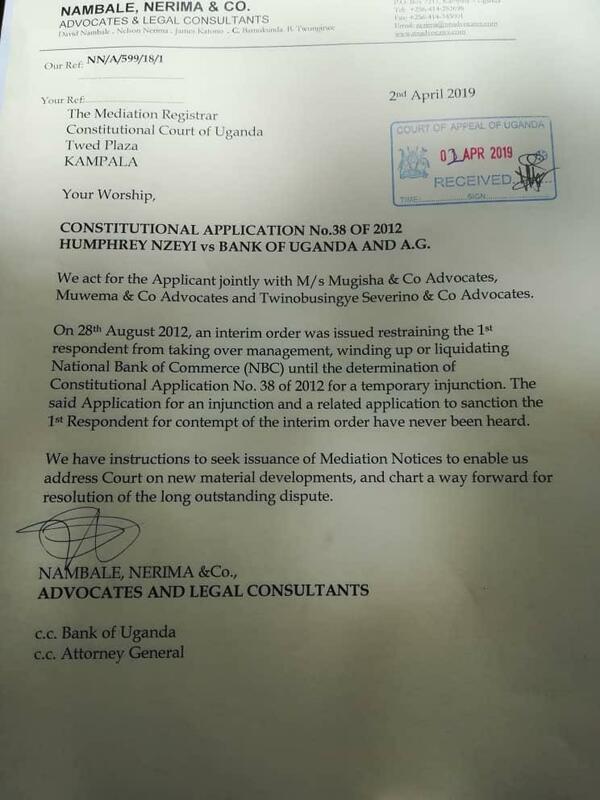 In an April 2 letter, Messer’s Nambale, Nerima & Co. Advocates have put the Registrar of the Constitutional Court on notice, seeking a reference that would resurrect the matter, and probably close the matter with possible compensations in billions of shillings. The Attorney General is the second respondent with BoU. “We have instructions to seek issuance of Mediation Notices to enable us to address court on new material developments and chart a way forward for resolution of the long-standing dispute,” the lawyers wrote. The action of the lawyers in coming on the backdrop of the report of Parliament’s Committee on Commissions, Statutory Authorities and State Enterprises, released in February and made groundbreaking recommendations against Bank of Uganda and individuals named in what the MPs termed as “unlawful” closure of some commercial banks. Parliament has recommended the compensation to directors of the “illegally’ closed banks, including tycoon Sudhir Rupareria’s Crane Bank Ltd and the National Bank of Commerce (NBC). The NBC lawyers, who also include Mugisha & Co Advocates, Twinobusingye Severino & Co Advocates and Muwema & Co Advocates, seem to be acting on the recommendations and findings of the MPs report. The National Bank of Commerce whose key shareholders Mr . Mbabazi, the current Prime Minister Dr. Ruhakana Rugunda and prominent personalities from Kigezi region, was closed on September 27, 2012, by the Central Bank on allegations that it lacked the minimum capital requirement of Shs 10bn. 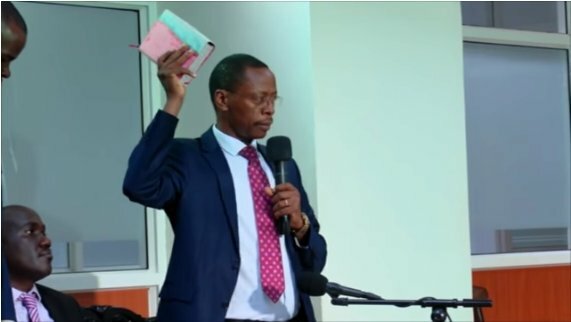 Appearing before the committee the shareholders of the NBC led by the Chairman Board of Directors, Matthew Rukikaire noted that their bank was summarily, arbitrary and illegally closed on orders of Justine Bagyenda who was the Executive Director, Bank Supervision. The directors told the MPs, that they would demand for compensation in billions of shillings. The lawyers in their Tuesday letter indicated that the central bank had defied court orders not to close the NBC, a matter that will be resurrected. The Parliamentary inquiry into the conduct of Bank of Uganda and it’s officials in the closure of seven banks, with some ending up in massive controversy lasted for the three months, until February this year and brought into focus the mismanagement of closed banks by BoU after the Auditor General Mr John Muwanga issued a stinging criticism of the central bank in a special audit that cited massive flaws in the closure of Teefe Bank (1993), International Credit Bank Ltd (1998), Greenland Bank (1999), The Co-operative Bank (1999), National Bank of Commerce (2012), Global Trust Bank (2014) and the sale of Crane Bank Ltd (CBL) to dfcu (2016).